We have All White Ladies & Gentleman’s Formal Fashion Attire. We are White Wedding Party Attire Headquarters for Dallas. You will never find a shop that has as large or or as diverse selection of white clothing for men and ladies. You will never, never find a better shop for White Wedding Parties White Theme Parties & Diner en Blanc events. We have White Fedora Hats, White Shoes, White Vests, White Ties, White Bow White Ties, White Gloves for Men and Women, White Jewelry Pieces, White Boas, White Formal Attire, White Gala Attire, White Period Attire, White Costumes, White Disco Attire, White Baroque Attire, White Tuxedos, White Tail Coats, White Skirts, White Scarves, White Men’s Slacks, White Shorts, White Swag Sticks & Canes, Ladies White Summer Hats, Ladies White Derby Dame Hats, Ladies White Church Lady Hats, Ladies White Whimsy Hats, Many Styles White Parasols & Fans and so, so much more. Check out our suits and dresses that are perfect for your Themed Wedding or Vow Renewal Ceremonies. From the 20s, 30s and 40s to Medieval, Renaissance or Fantasy. We can provide all of your Bride & Groom, Wedding Party and Guest Attire, from head to toe and fully accessorized or just the pieces you need. 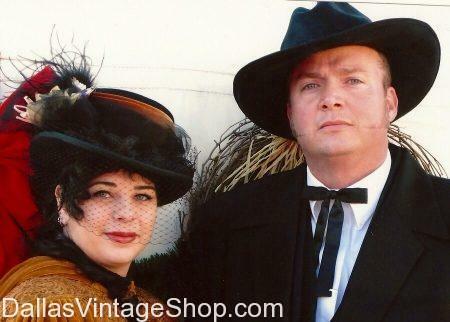 Themed Wedding Attire, 1920s, Victorian, Steampunk, Old West, Etc. Old West Themed Wedding Attire. 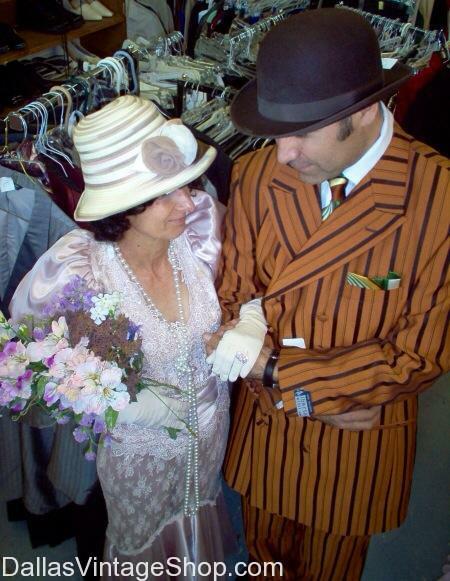 If you are the Wedding Couple, in the Wedding Court or just Wedding Guests always remember that we have Any Wedding Period or Themed Costumes and Vintage Clothing. If you need ideas we can help you with that too. Posted in Wedding Themes | Comments Off on Themed Wedding Attire, 1920s, Victorian, Steampunk, Old West, Etc. 1920s is currently a very popular Wedding Theme. We have Bride and Groom Themed Wedding Attire and enough Period Clothing for the Wedding Party and every guest. We also provide for Themed Wedding Vow Renewal Ceremonies. We have all the Popular Wedding Theme Ideas and even some very unusual or unique Wedding Themes like Steampunk, Vegas Weddings, Renaissance, Old West and many, many more. 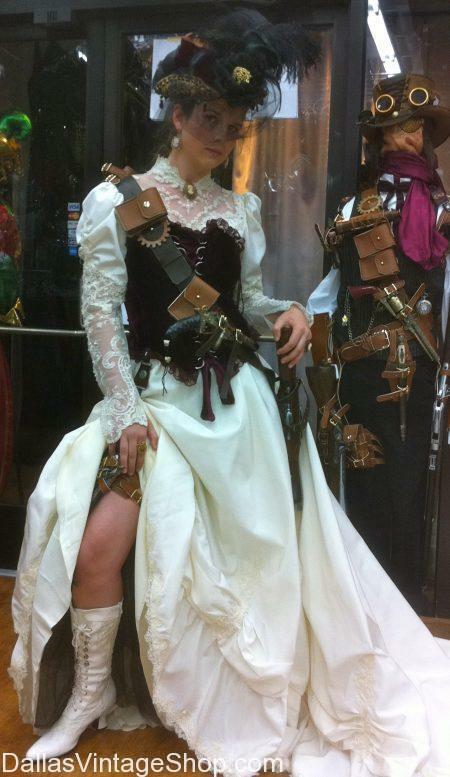 Even wedding dresses can be used for a fabulous steampunk look, with all of the right accessories, of course!!! Try these Costume Ideas: Steampunk Wedding Themes, Vintage Wedding Dresses, Elegant Steampunk Victorian Lady, Creative Wedding Themes, Fancy Steampunk Attire, Ladies Beautiful Steampunk Victorian Hats. …or any imaginable Themed Wedding Attire for Bride & Groom, Court & Guests. You are in Wedding Themes category.